Are you looking for a truck mounted crane? Good quality cranes can help to increase the productivity of your business. In many industries, cranes form a vital part of a company’s machinery. There are different types of cranes and it is important to choose the crane that best suits your business. An overhead crane and mobile crane is two popular options and owning a mounted truck crane has many benefits. If you are thinking about purchasing a crane, read our blog to find out more. 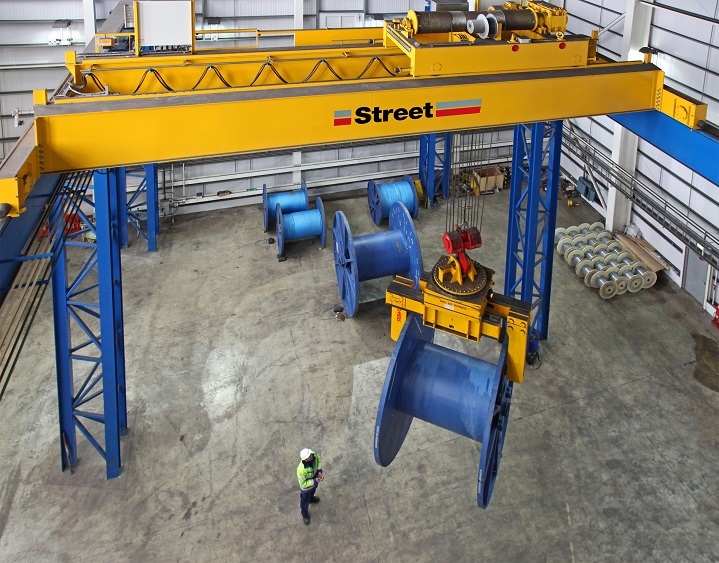 The overhead crane is typically used in factories and also commonly used in the steel industry. Other industries where this crane find use includes the automobile and paper industry. The crane’s hook-and-line mechanism operates on a horizontal beam which allows the operator to move and load objects in any direction. The mobile crane is made up of a telescopic boom which is fixed to a mobile platform. 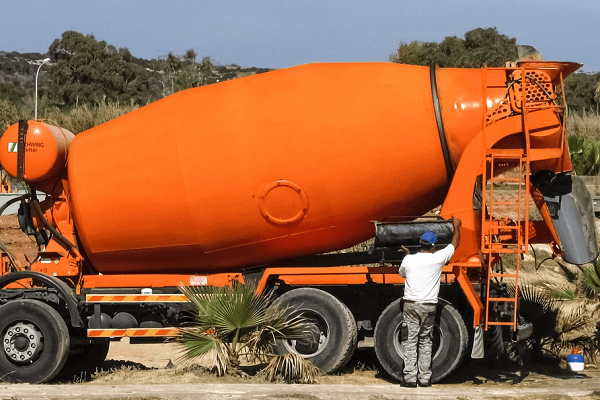 Within this category, the truck mounted crane is a versatile option. With the crane mounted on the truck, heavy objects can be lifted and transported to different locations. 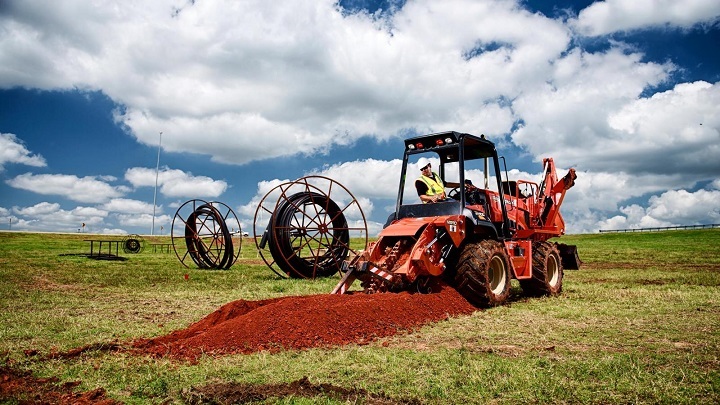 The latest hydraulic models are typically powered by a single engine. 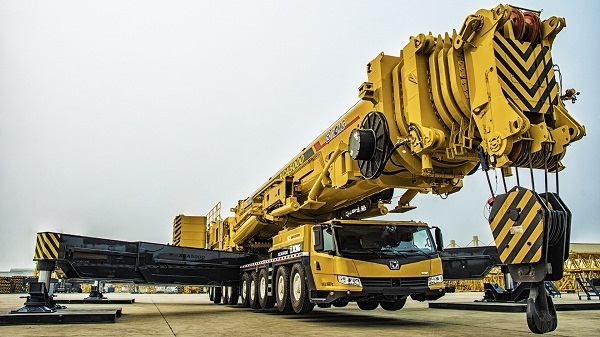 Most mobile cranes are capable of riding on highways if they do not exceed the country’s weight and size regulations. 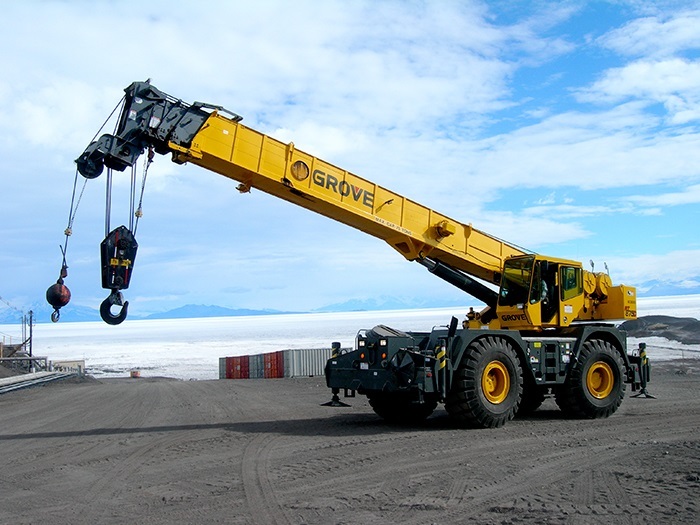 The benefit of these cranes is that special equipment is not required to transport them. Truck cranes have varying lifting capabilities which typically range from 14.5 short tons to 13000 short tons. Generally these cranes can rotate 180 degrees however top range models, which fall in a higher price bracket, can rotate 360 degrees. Sidelifter cranes, rough terrain cranes and all terrain cranes also fall under the mobile crane category. Fixed cranes swap their mobility for the capacity to lift heavier loads. Their stability also allows them to extend to greater heights. 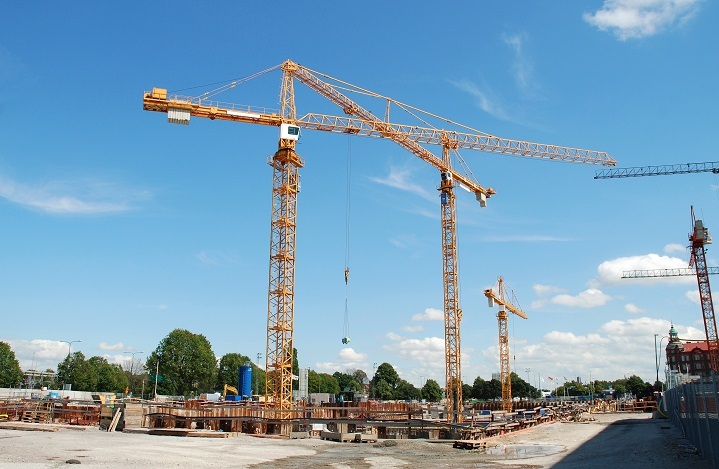 Tower cranes are secured to a concrete slab and they are typically used to construct tall buildings. Telescopic cranes, hammerhead cranes and deck cranes also fall in this category. 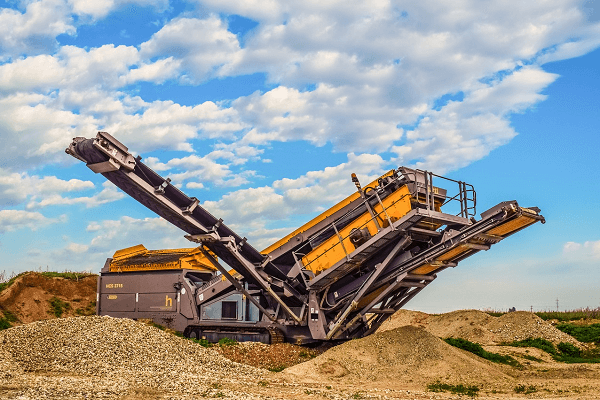 Now that you know more about the different types of cranes that are available, take a look at some of the biggest cranes in the world. 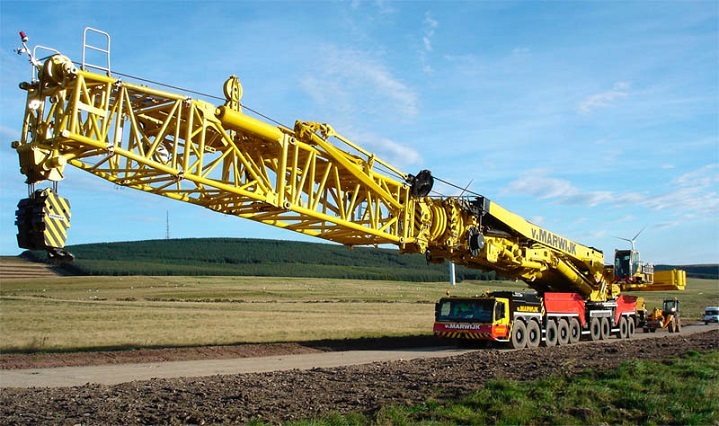 The Liebherr LTM 11200-9.1 has the world’s longest telescopic boom which measures 100 meters. 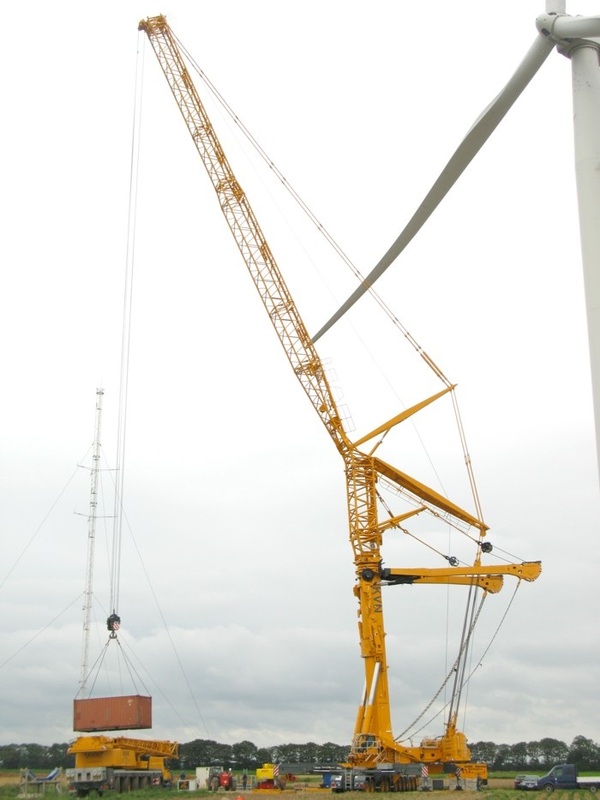 The first LTM 11200 cranes was produced in 2007 and it was built by the Liebherr Group – a German company. 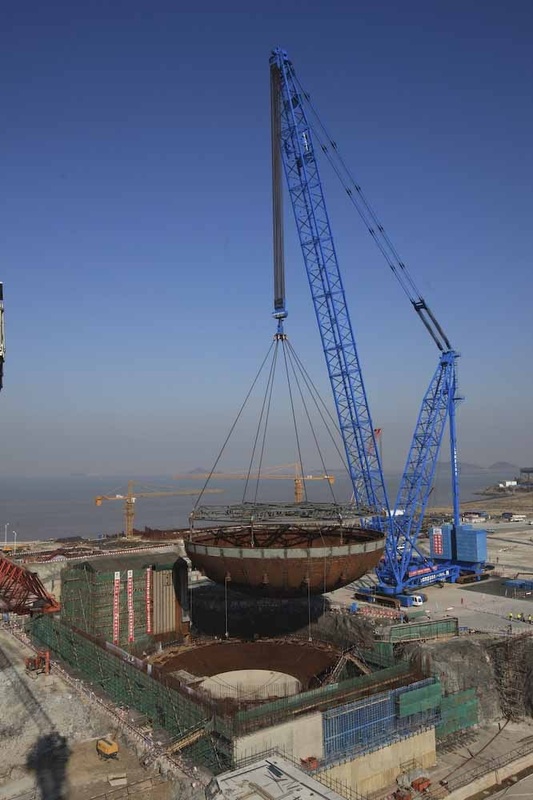 This gigantic crane has the ability to lift 1200 tonnes and the weight it can lift is affected by its height. The full unit is made up of two transports as well as boom extensions. 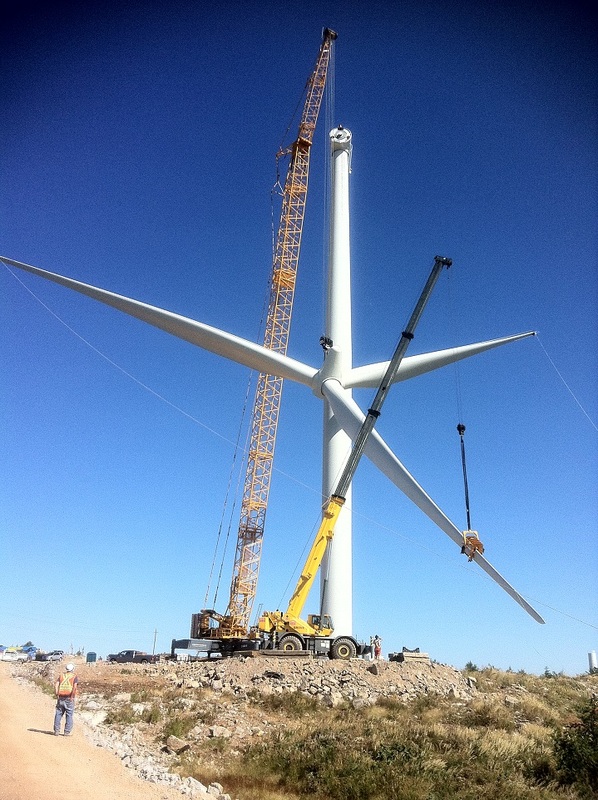 It is useful for a variety of applications which includes performing maintenance work on wind turbines. Another advantage of driving this crane is that the 9-axle chassis are designed to offer active rear-axle steering which is speed-dependent. It has a maximum hoist height of 188 m and a maximum radius of 136 metres. Another impressive crane is the LTL-2600 Transi-Lift®. The versatility and excellent capabilities of this massive crane make it an asset for heavy construction sites. 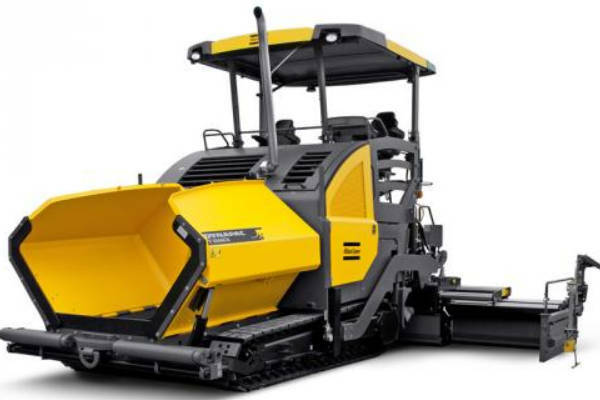 The LTL-2600 is easy to operate and it offers precise manoeuvrability. Its durable design and excellent capabilities make it well suited to challenging tasks. If you are looking for tough machinery that can get the job done, you can find truck mounted cranes for sale on Truck and Trailer. 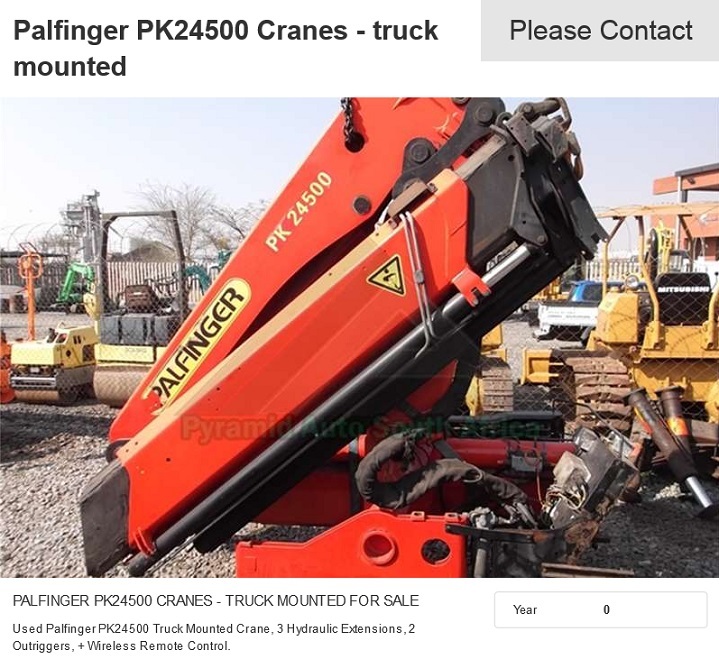 If you are looking for cranes for sale, you can find a second hand Palfinger PK24500 on Truck and Trailer. It has three hydraulic extensions, two outriggers and a wireless remote control. The Atlas 95.1 mounted crane has two hydraulic extensions and two outriggers. It is available for sale in Gauteng. 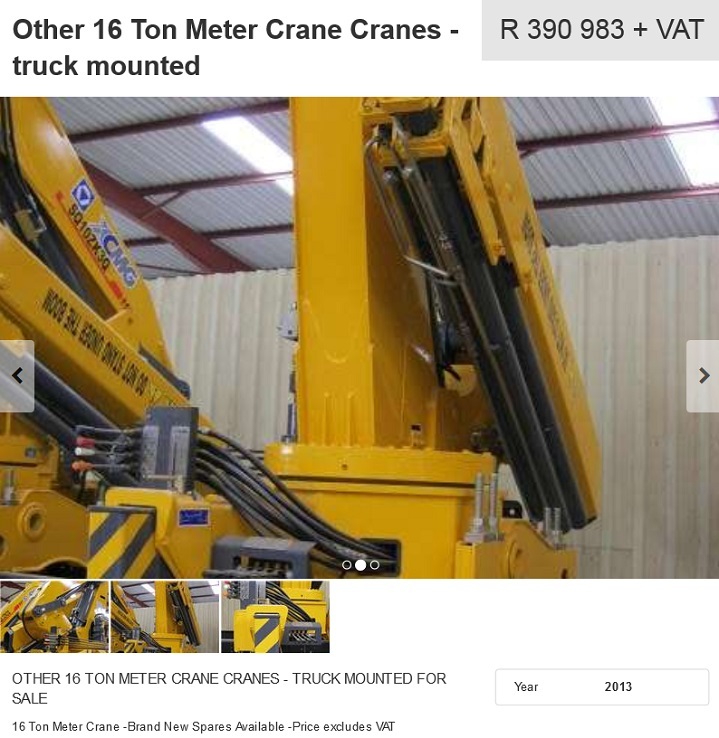 A 16 ton meter crane is available for R 390 983 plus VAT. 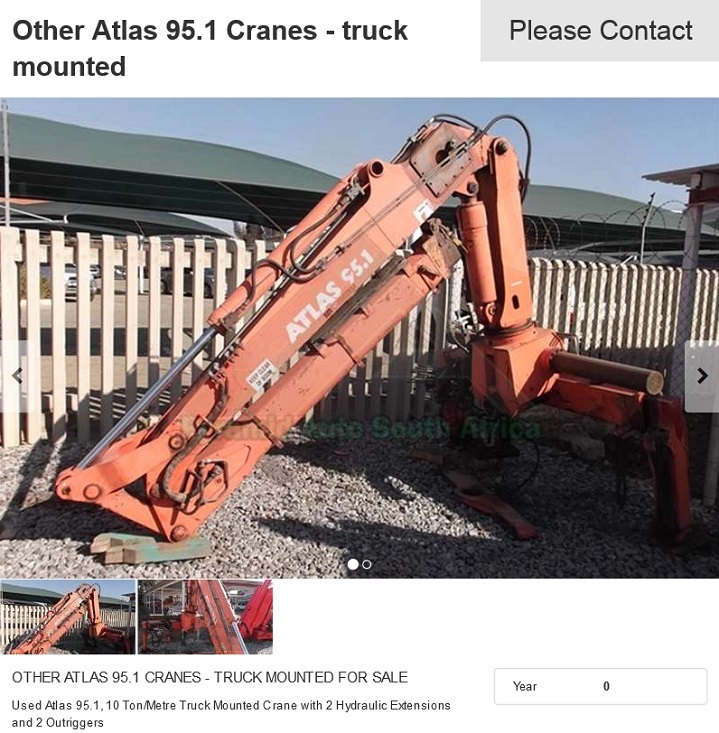 It is a 2013 model and new spares are available for this crane. Ready to find your next truck mounted crane for sale? Browse through Truck and Trailer’s extensive range of equipment for sale – from a mobile crane to a rugged crane truck for sale, you will find it on www.TruckAndTrailer.co.za.